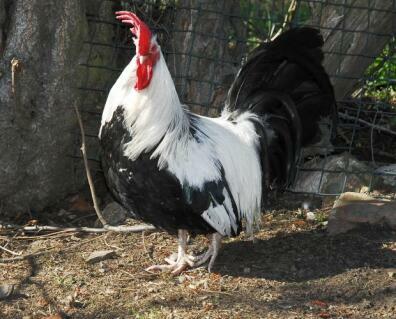 The Dorking is a breed of chicken that is believed to have originated in Italy during the period of the Roman Empire under the reign of Julius Caesar. They believed it was the purist breed as it had 5 claws. It was introduced to Great Britain where much of its development took place. 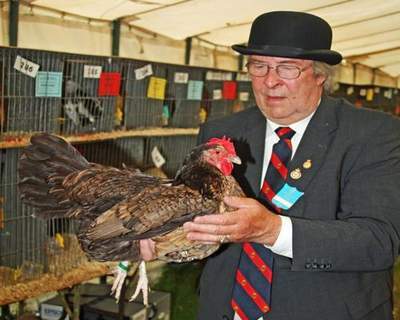 It appeared in the very first British poultry show in 1845. It has always been prized for its white flesh and its eating qualities. The Dorking is a hardy bird and is quiet in nature. They are large foraging birds that require space as they are very active. They can become weedy if not given enough space. 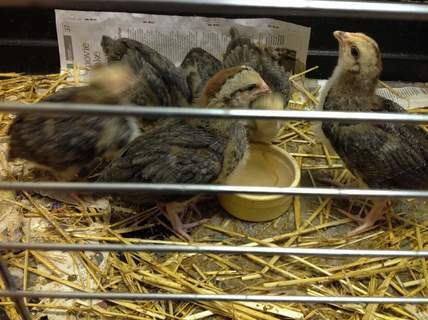 They are kept for both their eggs and meat and make good show birds. Their egg laying tends to be in the early part of the year. The eggs are of a good size and are white. The Dorking can take up to two years to mature and can live for up to seven years. This is a docile bird to keep. To keep them at a good weight and size they do need to be given a good quality feed. 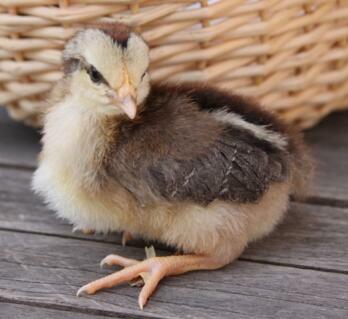 They can become very broody. There are five standard colours for the Dorking - Silver grey, dark, red, cuckoo and white. The silver grey is the most commonly found. The silver grey hen is a delicate shade of silver grey, with darker grey pencilling. The dark is a darker version of the silver grey all but a black crescent on the salmon breast and back. The red is very dark. The white is pure white with no straw tinge. The cuckoo has fuzzy bands of grey and dark grey across each feather. 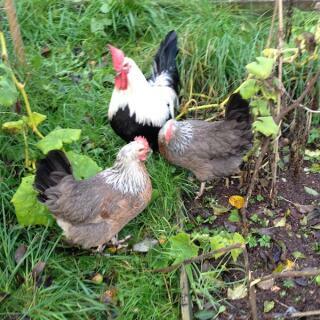 All colours have red eyes, combs, wattles and earlobes with white legs and feet. I've a delightful clutch of Silver Grey's that surprised me with their egg laying capacity! In the interest of conservation and meat quality, I sought these birds out. 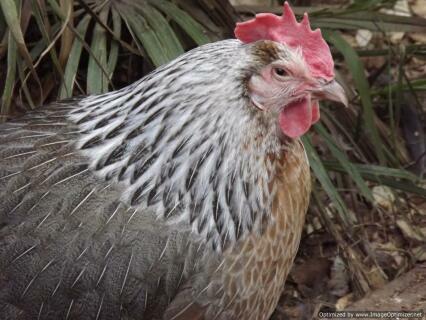 What I have discovered is a delightful companion in the hen house or yard, as they love to speak in their delightful sounds (many sounds unlike today's modern day bird, even though they do cluck). While they began somewhat flighty, I worked diligently with them, and they no longer startle at the slightest unusual noise or sight. They love to come close to me while free ranging, to find out if I might have a tidbit or morsel of goodness for them. I can handle most of the birds without issue. 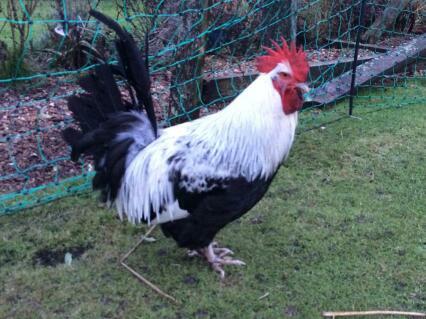 The rooster is a fine fellow. I'm exceptionally pleased with him and his manner with the girls. He does his various jobs quite well: protection, food finding, keeping the girls close to home . . . The hens aren't production birds, but I do receive 4-5 eggs a week from each one. I have had dorkings for the past 12 years. They are beautiful, excellent foragers, rose combs are great for colder climates although I do have single combs and only need to put petroleum jelly on combs when it gets very cold to protect them from frost bite. 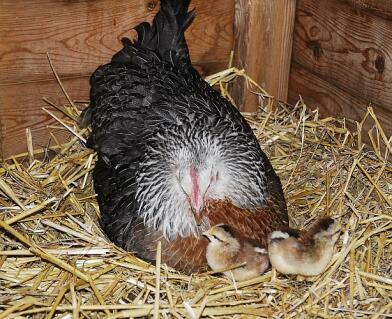 I use them as their own incubators as they do go broody easily and are excellent mothers. We operate an educational farm which frequently hosts children from the inner city and I always bring out a dorking to show. 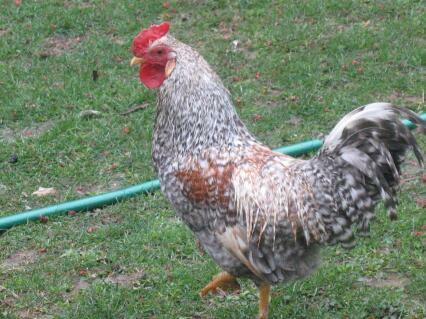 The hens and roosters are very friendly and can be touched anyplace by 30 children in a row. I also sell the eggs which are a nice size and their cream color is a favorite of a friend that does Ukranian painted eggs.for the intresting background collor. The history of this bird is incredible and I pass this knowledge on to all who visit my farm. I truly enjoy my dorkings and am blessed to be living with a piece of living history.